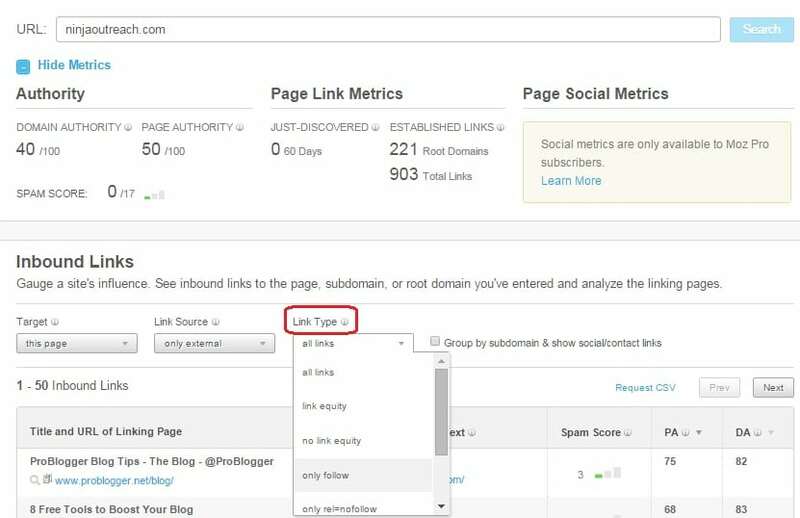 Are you using Moz OSE backlink checker as a tool for developing a high quality inbound link profile for your website? 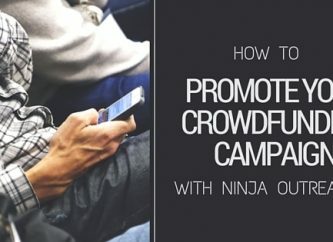 Did you know how nicely it plays with NinjaOutreach? There will be 2 sections in this article, each of which will have a step-by-step procedure on the basics to guide you accordingly. 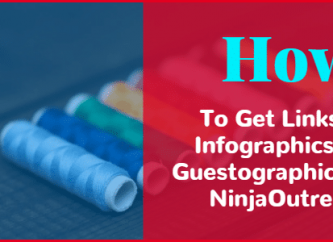 Why Use Both Moz OSE And NinjaOutreach? You might be wondering why you want to even use these tools together, or, how? Competitor Research: Finding all of the websites that link to your competitors and outreaching to them to get yourself noticed/featured as well. 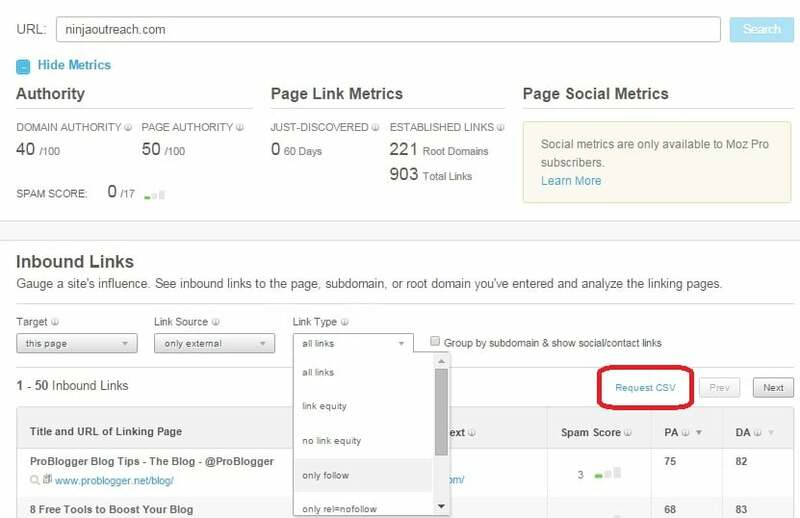 Scaling Your Outreach: Say you have a group of 100 leads, use Moz OSE to find who is linking to those, import them into NinjaOutreach, and you can very well grow your outreach campaign by hundreds if not thousands (websites within the same niche often link to each other). 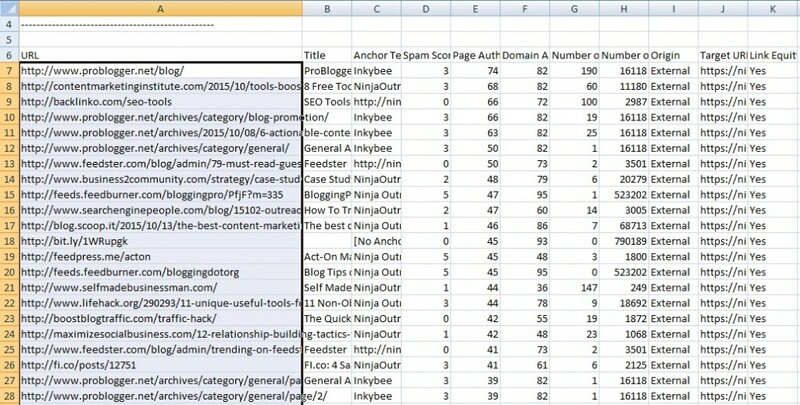 Broken Link Building: If you have found a broken link, find out who is linking to it with Moz OSE, and then use NinjaOutreach to run an outreach campaign to replace the broken link with your resource. Make sense? Now let's execute! Enter the website's URL, of which you want to find backlinks. Select the link type, for example, ‘only follow’. Open the CSV file and copy all the URLs. You now have all of the URL backlinks to your source URL. 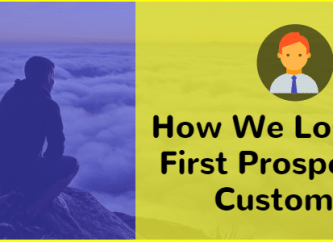 You can focus purely on ones that are follow, or have a particular domain authority. Now you are going to import them into NinjaOutreach to collect contact information. You will get a csv file within 24 hours after you submit the URLs on the webapp, filled with additional information on the domain, including contact information. 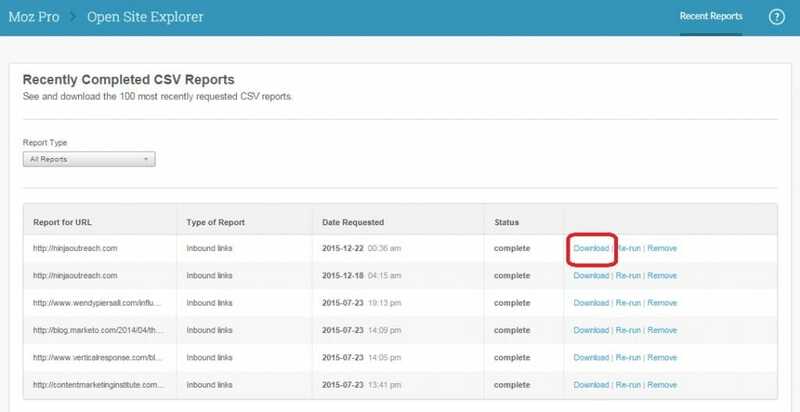 Now you will want to finish creating a list out of that CSV. Download CSV file sent to you. Click on Import (the button at the top right when on the list management tab). Fill in the details. Select the list you have just created and NinjaOutreach as the format provider. You now have a list of backlinks, in NinjaOutreach, with contact information. Depending on your campaign goals, you are going to want to compose your template and begin your outreach.